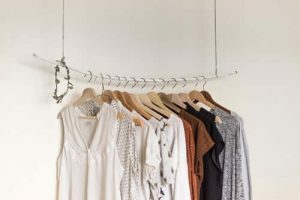 Practical solutions practical problems, do not deceive yourself a wardrobe is pure logistics and you need an absolutely practical mentality to face it. How to organize a woman’s closet is a problem that I dare to assure that we have had to face all women, the eternal disaster of the strange Space / Time combination. With regard to the concept “time” I mean the occasion of use, as “space” I mean the physical space necessary to contain all the clothes you have of each type. In the combination of both you will find the order you need to not lose yourself and despair in your closet. 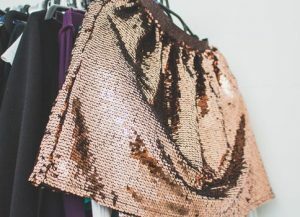 You need the combination of these two fundamental characteristics of the current way of dressing (they are the ones that define any garment of your wardrobe), to guide you in the labyrinth of a modern woman’s wardrobe. 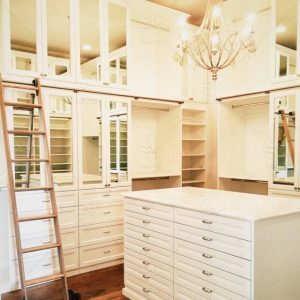 These tips are valid for any type of female wardrobe, from a whole room used as a cabinet-closet to a conventional wardrobe, although if you have a lot of space, you could prefer a classification by zones. 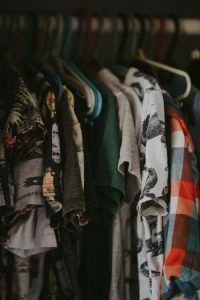 Even so, and whatever your wardrobe may be, it is always possible to optimize the available space so that it is easier for you to dress up every day. First the logistics. With regard to wardrobes, I always advise the coat racks, you can even buy those that are used professionally. Its industrial aspect has a lot of charm and its practicality is undoubted. If you do not like them you can always improvise, use your imagination, make yourself a rack like the one in the image, it’s not complicated. … look for what best suits your taste, spaces and decorative style of your home and use it. The trick is to forget about the original function for which that piece of furniture was designed. Then we begin to place the garments. The first thing is to classify garments by type, starting with outer garments that are probably much less numerous. On a rack will go everything that can be hung, do not make exceptions in everything related to garments made with fabrics that are not elastic, this type of garments are always better and more protected when they are hung. Everything that is knitted has to be folded because, if you hang garments, their own weight will deform them. The mesh structure of these garments is not resistant and will not maintain the shape and, therefore, the original measurements. 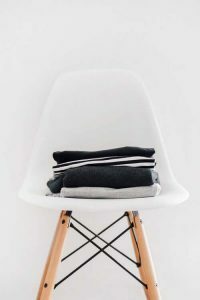 As for the t-shirts you can choose, hung or folded according to the space you have, the amount of clothes you have of this type or simply according to your mental classification. T-shirts are very light and will not deform easily, although you should evaluate possible exceptions. The shirts can always be hung to recognize them easily. There is a precedent classification to this that we will only consider in this first moment and it is the season classification. This classification depends on the space you have. My advice is to choose and prioritize as position the one you have in use at all times, putting the opposite season’s ends and cover them with protection. For this function you can recycle the bags used in the dry cleaning to deliver clean garments. You can also use a piece of fabric. 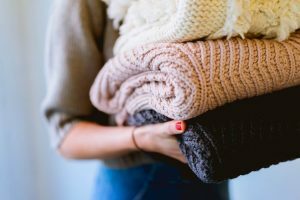 These sets of covered garments will divide between seasonal garments that are in use, avoiding confusion, in addition to keeping clean the clothes you do not use. When you do this classification, you will find clothes that do not have a specific season: T-shirts and garments for events and special occasions are the most common, even some pants or skirts made with an intermediate weight fabric. Mix for example a garment made with a bright fabric or embroidery in your everyday looks, is a great success to update an outfit. Place that type of clothes in a visible place and assign them a space of their own, they will be the “pepper” of your looks. 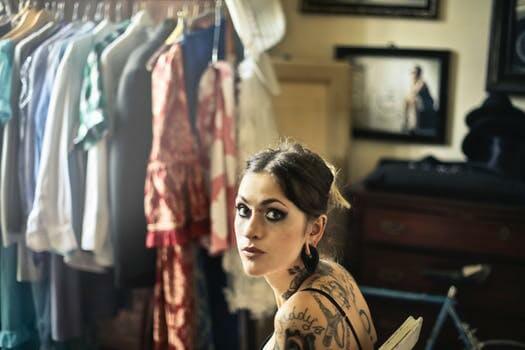 Use clothes and accessories of this type without abuse, just a touch to get a more interesting image. With this we come to the main problem of a woman’s wardrobe, the shoes! Footwear management necessarily depends on the space you have, but there is a rule that I recommend you keep: Do not ever have shoes in an open space. You can have unprotected only the shoes that you use very regularly in your daily life, two or three pairs. The rest should be protected in boxes or drawers so that they are always perfect when needed. You can also use the classic individual felt bags. To recognize them and not have to always open many bags or boxes when you are in a hurry, that is, almost always, put pictures on the outside of each one with the shoe style that it contains. 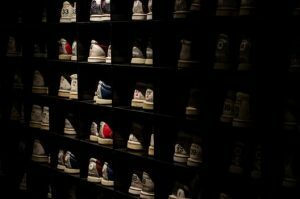 I have personally keep them in plastic container drawers and they are always perfect, but keep in mind that you must clean the soles before storing them. Two tips to complete this post. 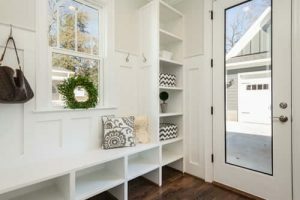 Put a large mirror on the back of the door of the room where the closet is, (it is a very useful resource) and if possible, always have a chair to support items that you are evaluating or discarding. If after these tips you do not feel yet able to organize your wardrobe, hire my Wardrobe background service and relax, I will do it for you.